Micromax announced its new flagship smartphone, Canvas Silver 5 in India today. 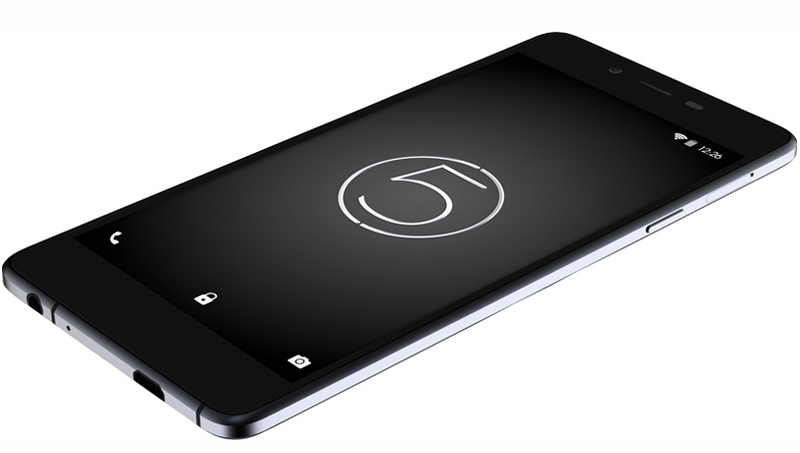 The company calls it thinnest and lightest with a 5.1 mm thick and weighs only 97grams. The Canvas Sliver 5 is priced at INR 17,999. The Canvas 5 silver sports a 4.8-inch HD(1280×720) resolution AMOLED display with Corning Gorilla Glass 3 protection. The smartphone is a powered by a 1.2 GHz Qualcomm quad-core 410 chipset paired with Adreno 360 GPU and 2GB DDR3 RAM. It has 16GB internal storage. On photography front, The canvas 5 silver has 8-megapixel rear camera and a 5-megapixel front camera. The smartphone has a 2,000mAh battery, and connectivity options include LTE support, Wi-Fi, and Bluetooth. On the software front, the smartphone runs on Android Lollipop out-of-the-box. The sales of Canvas Silver 5 will begin in the first week of July at INR 17,999.